...and then the stickers come out. 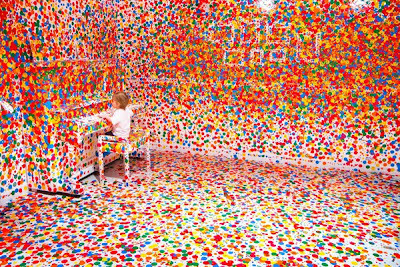 Over the course of two weeks, children who visited the exhibit were given colored dot stickers and invited to customize the space. 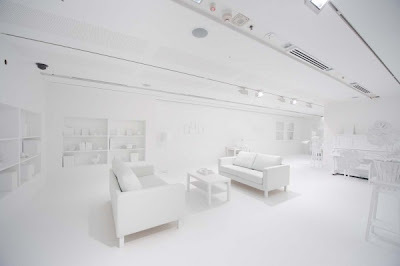 The end result is staggering—it doesn't even look like the same room! See? As I said, pretty freaking cool. Found via Colossal.